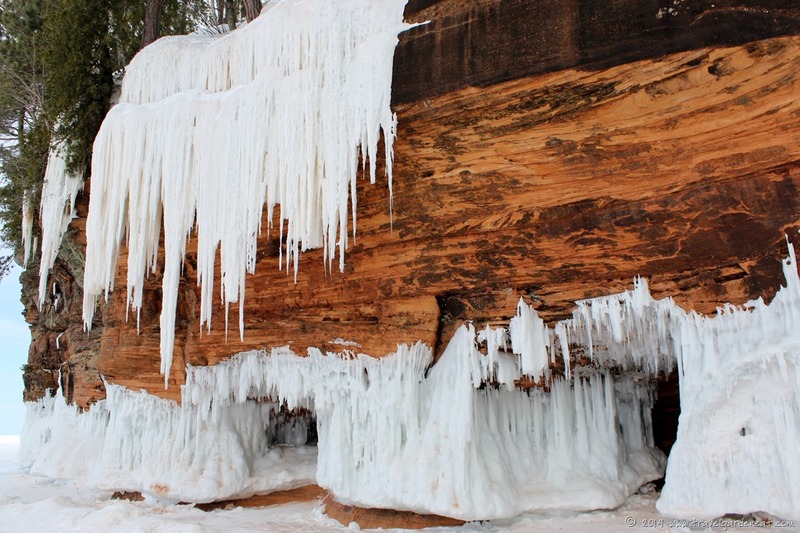 Lake Superior’s Frozen Wonder: The Apostle Islands Ice Caves, Part II – Travel. Garden. Eat. 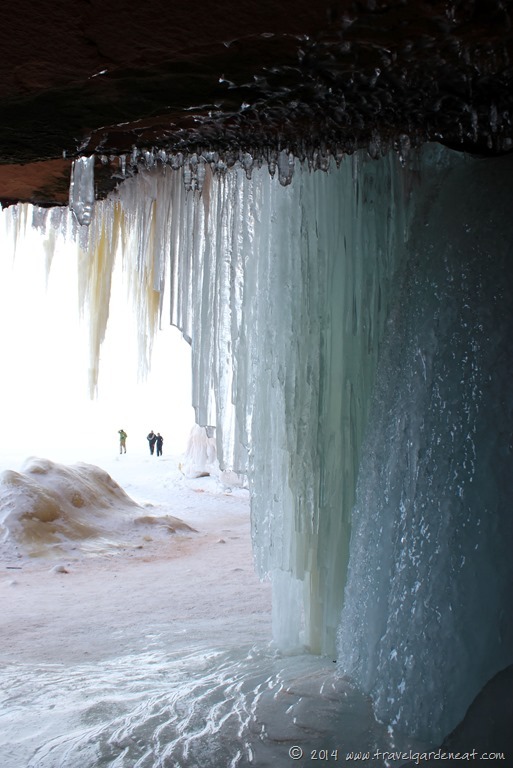 As the weather warms up, the walk to the ice caves will be more pleasant – but that also means that icicles will start melting and falling and there will be more slush on the ice – make sure not to stand under ice formations and wear waterproof boots – with ice cleats! 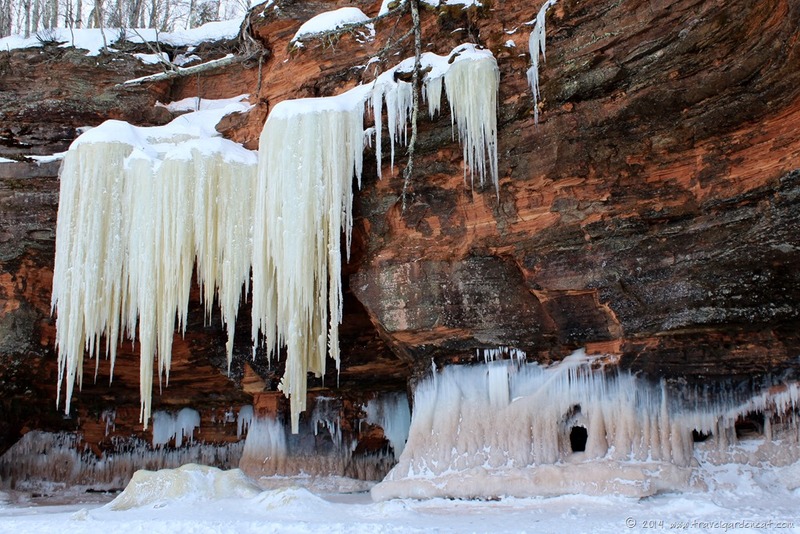 The Apostle Islands’ Facebook post provided a nice segue to another group of photos from our ice caves visit last Saturday. 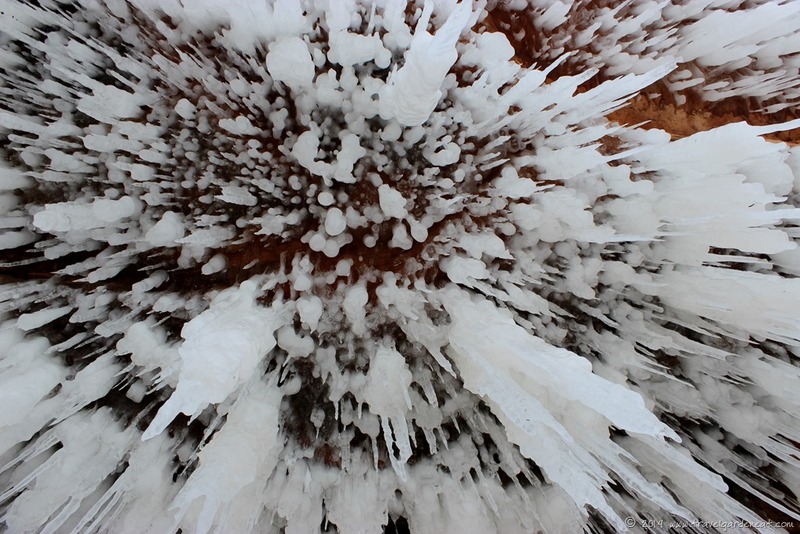 Sub-zero temps meant no threat to the icicles during our visit! Everyone needs the obligatory “look up at the icicles” shot. No two caves were alike. Color, pattern, shape … each hollow held a unique, amazing scene. The minerals from the rocks and soil, the speed and temperature of freezing, the sunlight or lack thereof … all created fascinating variations in color. 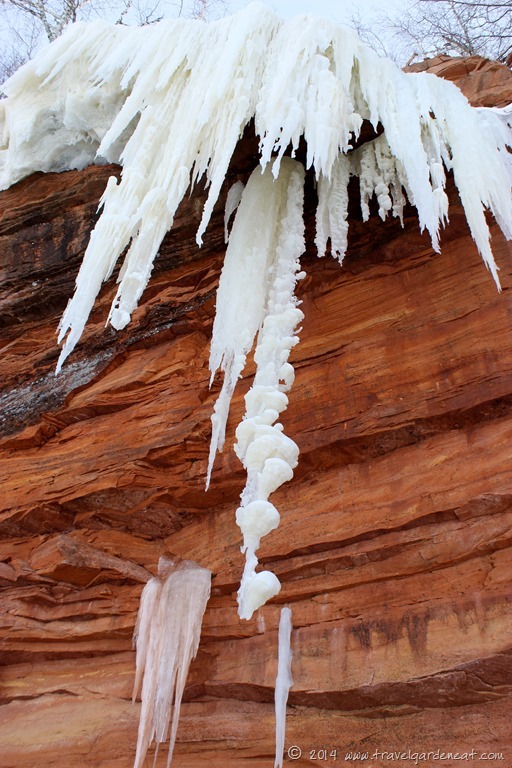 Icicles like these are sure to be the first to go as Winter finally starts to release its frigid hold. 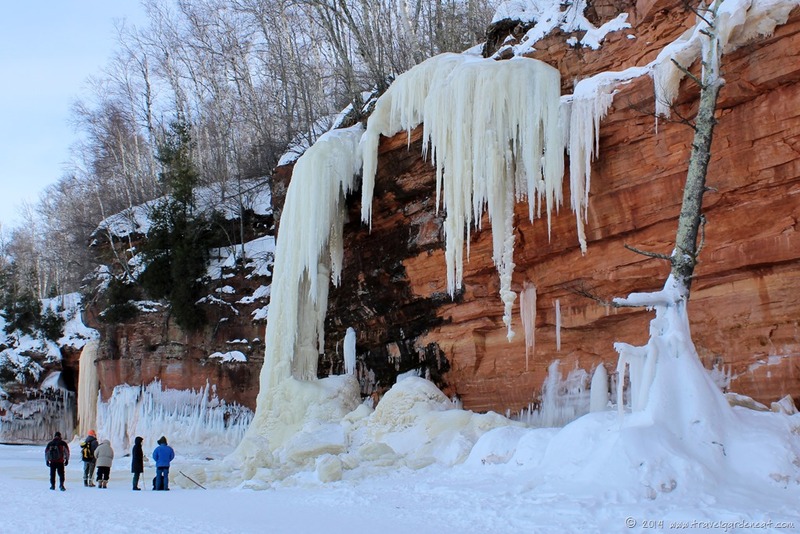 Check back tomorrow for a departing look at the Apostle Islands ice caves. There are a lot of nice images here. Honestly, my favorite is the first shot because you included someone in the background to provide good perspective against the frozen ice. 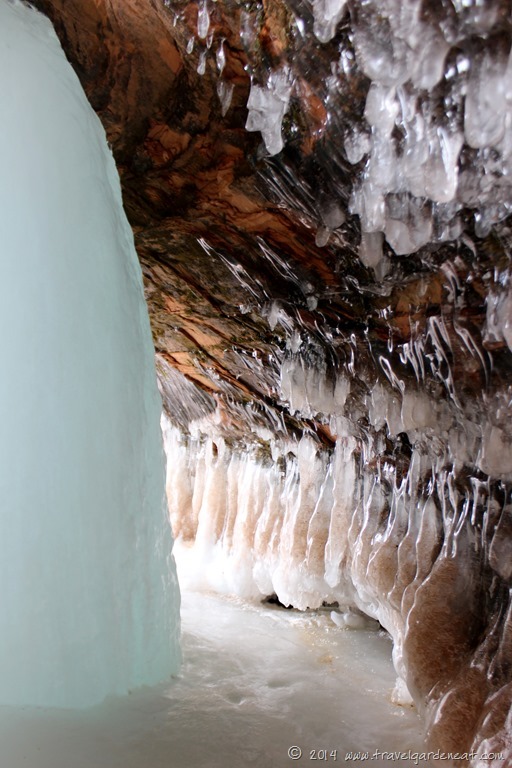 I think this is the last weekend the caves will be open and all week long with warming temperatures they have been warning people not to stand under the hanging ice curtains and icicles! How awesome would this be! It looks amazing and interesting. Thanks for posting. Thanks for reblogging, Tammy. Mother Nature at her finest! Right! It looks interesting! 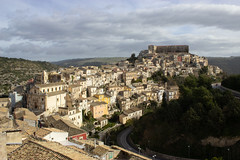 Maybe one day I will be able to make it there. Enjoy them while they last! 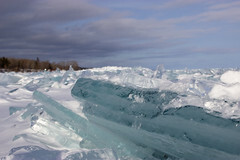 It looks like they are totally worth the trek in those cold, cold temps! Thanks, Jen — last set just posted! 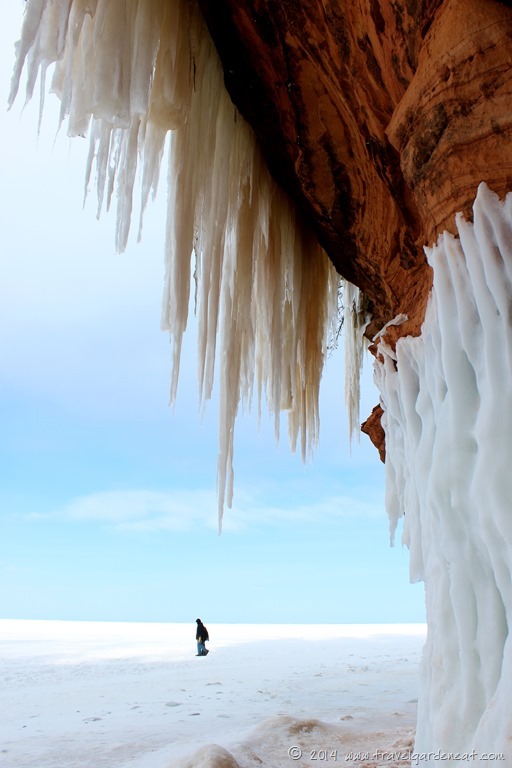 Pingback: Last Look at the Apostle Islands Ice Caves | Travel. Garden. Eat. How cool is this? More great shots, Kat.